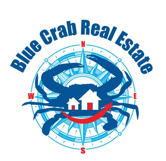 Blue Crab Real Estate is one of Maryland’s most focused, customer-friendly local real estate brokerages is pleased to announce the sale of a premiere property in your neighborhood. Blue Crab’s concentration on Montgomery County’s I-270 corridor makes us the realtor of choice for sellers and buyers in this competitive market. Blue Crab Real Estate agents worked tirelessly to promote the property, relying on everything from state-of-the-art online selling to old-fashioned door-to-door contacts. We ran open houses every weekend and we provided direct exposure for this property to our proprietary database of over 450 buyers actively seeking homes in the neighborhood. Professional photography to accentuate the brightness and openness of the property in online listings.